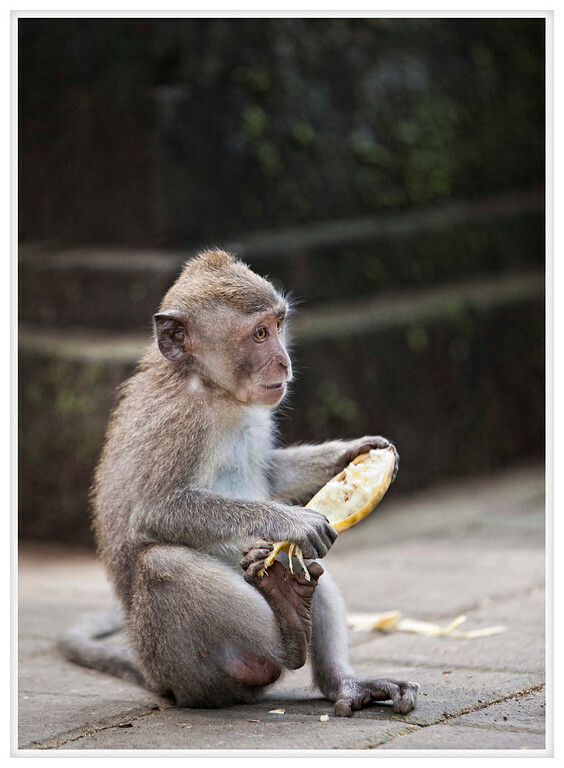 Jeff's Photographic Blog: 2011, Day 173 - Hehe, monkey! Back to my adventure a couple years ago. I liked the monkey forest, Laura didn't feel up to coming with me and she missed out because monkeys were literally climbing up me to try to steal my bananas (I bought a bunch when I entered the park). Who doesn't want to be touched inappropriately by a monkey?!? psh I explored Arma and went to museums. I'm cultured damnit! plus monkeys are freaky and not to be trusted. they will eat your face.